Alfresco is a popular collaboration tool available on the open-source market. It is Java based, and has a content repository, web application framework and web content management system. For critical large-scale implementations that require 24*7 uptime, a multi-node cluster would be appropriate. Since Alfresco depends on external components such as the database and the filesystem, clustering the Alfresco instances only would not be enough. In this post, we are going to show you how to deploy an active-active Alfresco cluster with MySQL Galera Cluster (database), GlusterFS (filesystem) and HAproxy with Keepalived (load balancer) to achieve redundancy of all the required system components. Please note that clustering of Alfresco instances is only available in the Alfresco Enterprise. Hazelcast is used to provide multicast messaging between the web-tier nodes. This blog will be using the community edition, and note that e.g. site/user dashboard layout changes on one Alfresco node are not replicated to the other nodes since Hazelcast is only enabled in the enterprise edition. However, the content repository works fine in the community edition as the content files are on the same GlusterFS partition and the content metadata is replicated via Galera. 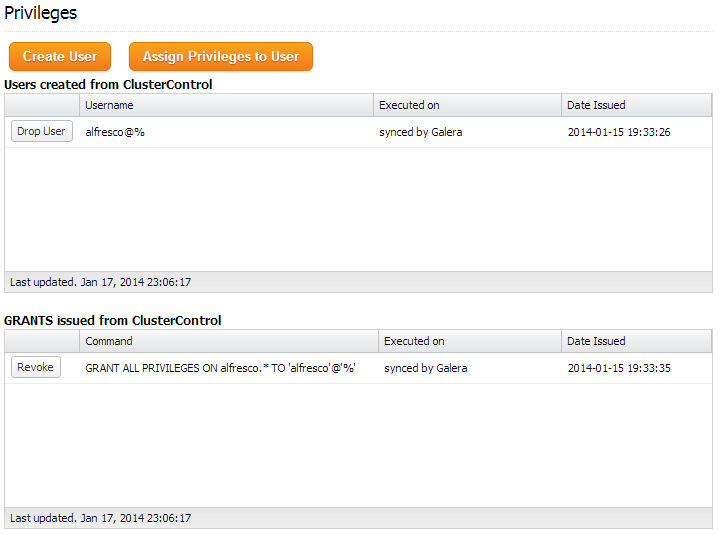 We will have a three-node Galera cluster co-located with Alfresco. Another two nodes, fs1 and fs2 will be used as a replicated file storage system for Alfresco content using GlusterFS. 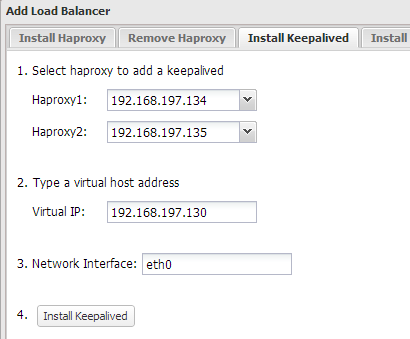 These two nodes will also have HAproxy and Keepalived for high availability load-balancing. ClusterControl will be hosted on fs2 to monitor Galera nodes. 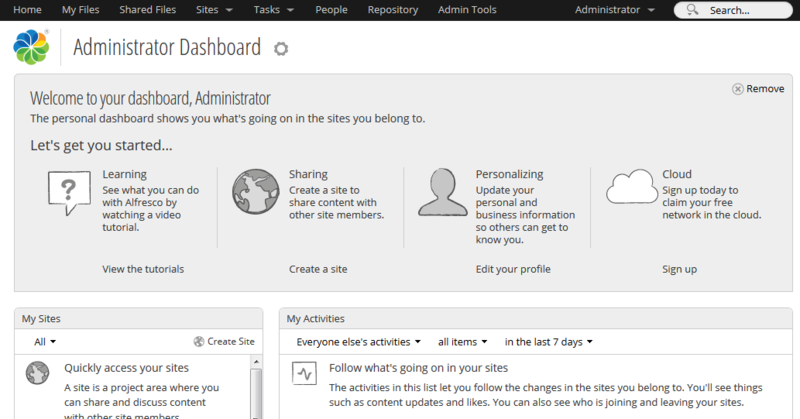 We will be using Alfresco version 4.2 (Community edition) and all hosts are running on Debian 7.2 Wheezy 64bit. All commands shown below are executed in root environment. 2. Deploy HAProxy on fs1 and fs2 by using Add Load Balancer wizard. 5. Create a schema for Alfresco by using Manage >> Schema and Users >> Create a database called “alfresco”. Then assign all privileges to the schema with a wildcard host (‘%’). 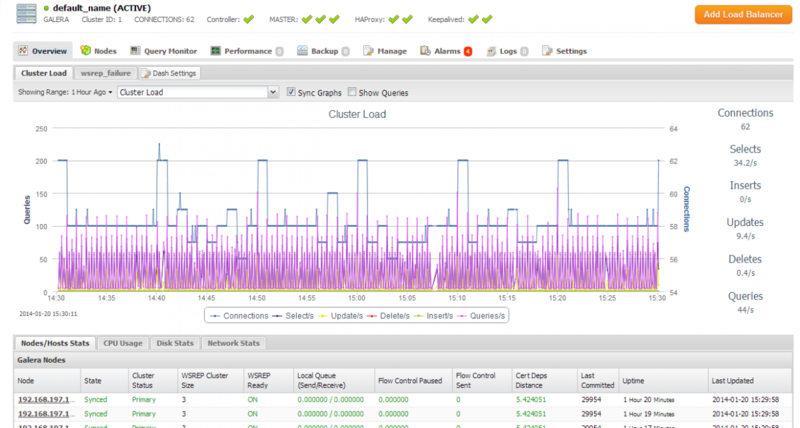 At the moment, MySQL Galera Cluster is load balanced with virtual IP, 192.168.197.130 listening on port 33306. Following steps should be performed on fs1 and fs2 unless specified otherwise. Creation of volume datastore has been successful. Please start the volume to access data. Following steps should be performed on all Alfresco nodes. Following steps should be performed on all Alfresco nodes unless specified otherwise. Advanced - Configures server ports and service properties. : Also choose optional components to install. Make sure that Alfresco is not started once the installation is complete. We will need to apply some custom configurations, as in the next section. Wait until the bootstrapping process completes. You can monitor the process by examining the Tomcat process log file at /opt/alfresco/tomcat/logs/catalina.out. TimescaleDB is based on PostgreSQL, and therefore, supports streaming replication as the primary method of replication. However, PostgreSQL does not come with automatic failover. This can be a problem in a high availability production environment, as manual failover implies prolonged downtime. The good news is that failover in TimescaleDB can be completely automated in ClusterControl 1.7.2. This blog shows us how to deploy such a setup.